Summer 2011 SAT Prep at Rolling Acres! Instructor: Kenneth Rolling. Students will meet with the instructor once a week to go over practice exams and questions for the SAT. 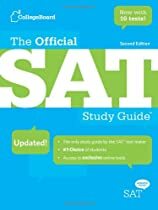 During the days outside of class, students are expected to work diligently to understand test problems from The Official SAT Study Guide, which can be bought from a bookstore, borrowed from a friend, or checked out from your local library. One of my favorite things about the spring is dirt. Admittedly, the smell of dirt, the feel of dirt, the sheer dirtiness of dirt bring back so many childhood joys, dreams, and memories that I cannot help but allow my own children to revel in the same experience. Academically, I understand that the experience of dirt involves more than emotions and nostalgia, for this experience is forming a valuable foundation for the future education of my children. How could I teach about the different types of soil had they never felt them? How could I teach about erosion had they never watched water run down our clay hill in the spring time? What a difficulty these tasks would be, indeed, for even with reason, a child can grasp these ideas so much the easier if there is an actual experience of them. As Pierre-Marie Emonet writes, “The soul sends [the senses] forth, as its tools of perception, of apprehension. It is by them that the soul establishes its grasp of the rich interest prepared for it in the world” (The Greatest Marvel of Nature, 12). Thus, here we are on the homestead in spring, casting our doors open and allowing our children into the brave outdoors to smell, touch, hear, see, and even taste nature in the name of education. I catch my toddler and ask him what he hears. He remarks, “the birds.” He then imitates how each sounds. I come to my four-year-old and ask what she is doing. She responds, “I see new, baby plants coming up that will be flowers for me to pick.” A thunderstorm comes in the evening, and I turn out all the lights. We see lightening, and then we hear thunder. What clamor of expectation goes up into the air as the children see lightening again and await the clash of thunder to follow! I suppose we could name this venture: Natural Science for Preschoolers. July 25-August 11, 2011. Discussion class every Monday and Thursday 8:30-10:00 pm ET (6 classes). Instructor: Kenneth Rolling. Students and their parents will meet with the instructor every Monday and Thursday to discuss the book Sophie’s World: a Novel about the History of Philosophy by Jostein Gaarder. In between group meetings, parents and students will have a set of study questions to answer as they read. This will help fuel parent-student conversation about the book as well as make discussion meetings more fruitful. If you and your children are looking for something philosophical to read during the dog-days of summer, this is it! Instructor: Alecia Rolling. This course is open to students who have completed at least one year of German language study and is designed to help students iron out the wrinkles left over from German I before entering German II. We will spend two weeks, translating Grimm’s Schneeweiβchen und Rosenrot, and students will compose a fairytale of their own. Assignments will be graded before class so as to allow time for improvement as the weeks roll by. Grammar will be discussed in class as needed to help translations and compositions. Email Rolling.Acres.School@therollingacresfarm.com or Mrs. Rolling directly at aleciarolling@yahoo.com for more information. (7th-12th grade): July 5-July 29, 2011. One-hour class every Wednesday and Friday evening at 7 pm ET (8 classes). Instructor: Alecia Rolling. This course is open to students who have completed at least one year of intensive Latin or two years of Latin. This is a translation intensive course that will require each student to translate approximately 100 lines of Latin per week. Since Mr. Rolling will be teaching an ancient history cycle for Middle School and High School students this year, we will be translating Vergil’s Georgics, Book I. The instructor will grade translations before the next class period so as to allow plenty of time for improvement as the weeks roll by. Grammar will be dicussed as needed to improve translating skills. Email Rolling.Acres.School@therollingacresfarm.com or Mrs. Rolling directly at aleciarolling@yahoo.com for more information. A Pastoral Reading for a Homesteading Family! @The Rolling Acres School. Instructor: Alecia Rolling. This course is open to Latin I and Latin II students of all ages who wish to work on Latin composition. This is a writing intensive course that will require each student to compose approximately 50 words of Latin per week. Students will write several short compositions about their activities, interests, and ideas. These compositions will be graded by the instructor before the next class so as to allow plenty of time for improvement as the course progresses. In class, we will discuss grammar topics based on the difficulties that reveal themselves in students’ translations. Email Rolling.Acres.School@therollingacresfarm.com or Mrs. Rolling directly at aleciarolling@yahoo.com for more information. Instructor: Alecia Rolling. This course is open to students who have completed at least one year of German language study and is designed to help students iron out the wrinkles left over from German I before entering German II. We will spend two weeks, meeting 30 minutes per day Monday through Thursday, to work on German translation, composition, listening comprehension, and speech. Given the technological constraints, our foci will be on translation and composition. Outside of class, students will be expected to practice pronunciation, memorize vocabulary, translate several German passages, and write several compositions. Email Alecia Rolling at Rolling.Acres.School@therollingacresfarm.com for more information. At The Rolling Acres School — July 5-July 29, 2011 (7th-12th grade): One-hour class every Wednesday and Friday evening (8 classes). Instructor: Alecia Rolling. This course is open to students who have completed at least one year of intensive Latin or two years of Latin. This is a translation intensive course that will require each student to translate approximately 100 lines of Latin per week. We will meet every Wednesday and Friday in the evening (time to be announced soon) for one hour to discuss difficult grammar issues and translation questions. We will look at ancient, medieval, and modern Latin prose writers to develop a variety of understanding. Outside of class, students will be required to complete their translations before the next class period so as to allow plenty of time for improvement as the weeks roll by. Email Rolling.Acres.School@therollingacresfarm.com or Mrs. Rolling directly at aleciarolling@yahoo.com for more information. Instructor: Alecia Rolling. This course is open to Latin I and Latin II students of all ages who wish to work on Latin composition. This is a writing intensive course that will require each student to compose approximately 50 words of Latin per week. We will meet every Tuesday and Thursday in the evening (time to be announced soon) for one hour to discuss difficult grammar issues and composition questions. We will look at ancient, medieval, and modern Latin writers to use as our models, and we will do our best to imitate these models as we compose our own Latin. Outside of class, students will be required to write several short compositions during the week which will be graded by the instructor before the next class so as to allow plenty of time for improvement. Email Rolling.Acres.School@therollingacresfarm.com or Mrs. Rolling directly at aleciarolling@yahoo.com for more information. Mission Statement: Catholic. Professional. Affordable. Our goal is simple: to offer high-quality online courses that are affordable for families. We are educators by profession, and we are faithful to the Magisterium of the Catholic Church. We are able to keep courses affordable because we are the entire school: the instructors, the managers, the accountants, and the technicians. We demand excellence from our students because we provide them with the tools to achieve excellence. We adhere to a traditional schooling model based in hard work, graded assignments, and awards for excellence. Our courses are organized and structured, which help students follow the most difficult of concepts as well as teaches them to organize their own activities.